How is your week going? This is our last week of school. As we are trying to finish up we are also taking turns being sick. Not a fun thing in a family of 8. Any illness takes weeks to cycle through us. 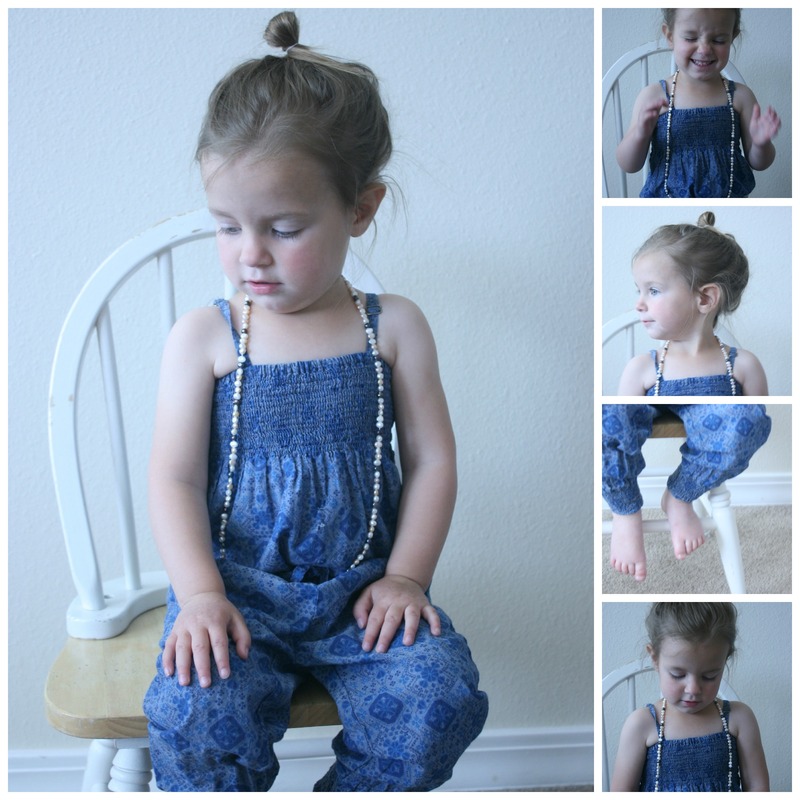 Still I manged to take pictures of a few more outfits of my two year old. You might recall the first 4 outfits I did a couple of weeks ago. I hope you are enjoying this as much as I do. Here we go. Jumper by H&M. I bought it during my last year’s visit in Germany. Necklace from World Market. Top from the Tea company. One of my favorite kid’s clothing companies. 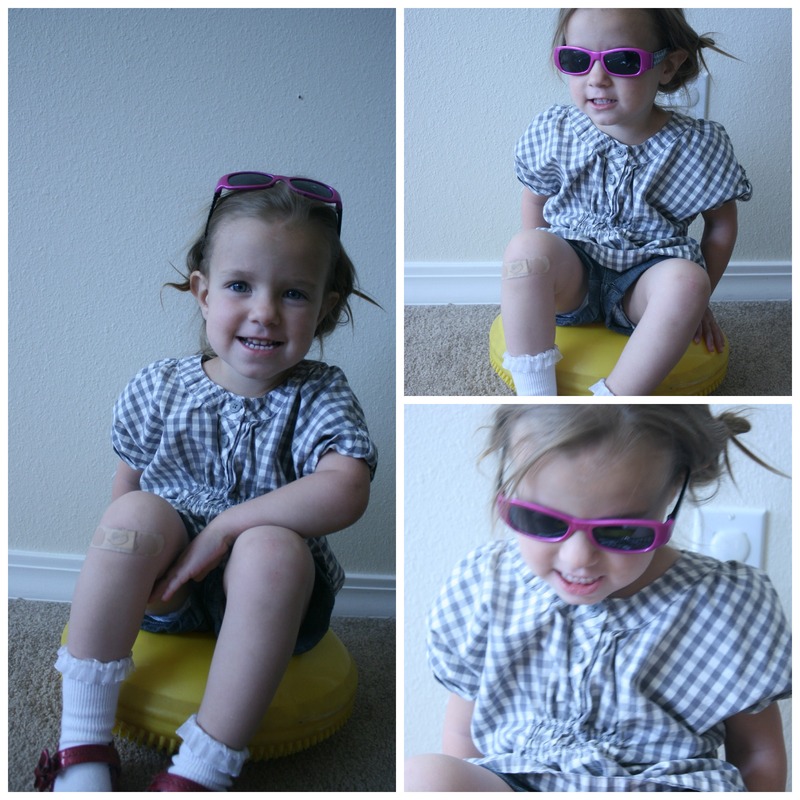 They design clothes with my girls in mind: stylish, comfy, and soft. I did a photo shoot with my friend last year with our kids wearing all Tea clothing. Shorts are from Target. Mary Jane shoes are thrifted. Yellow jeans from the Gap. Blouse from Old Navy. Socks from Polo. 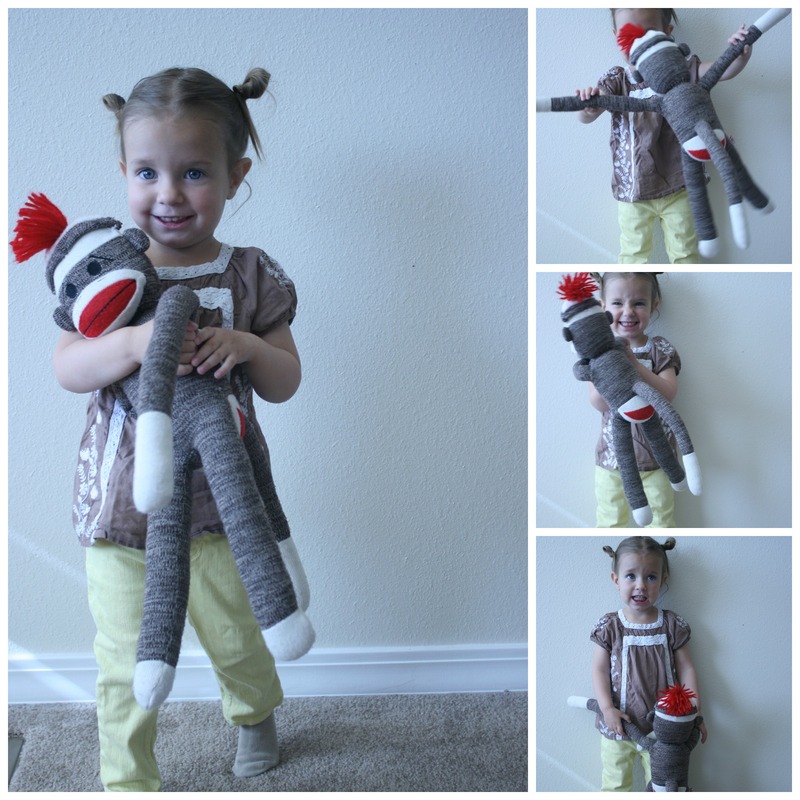 Sock Monkey from Target. This little two year old is so much fun! Great news, outfit No. 5 and 7 have been featured in Babiekins magazine here.